I finally get to see one of my favorite paintings in person! 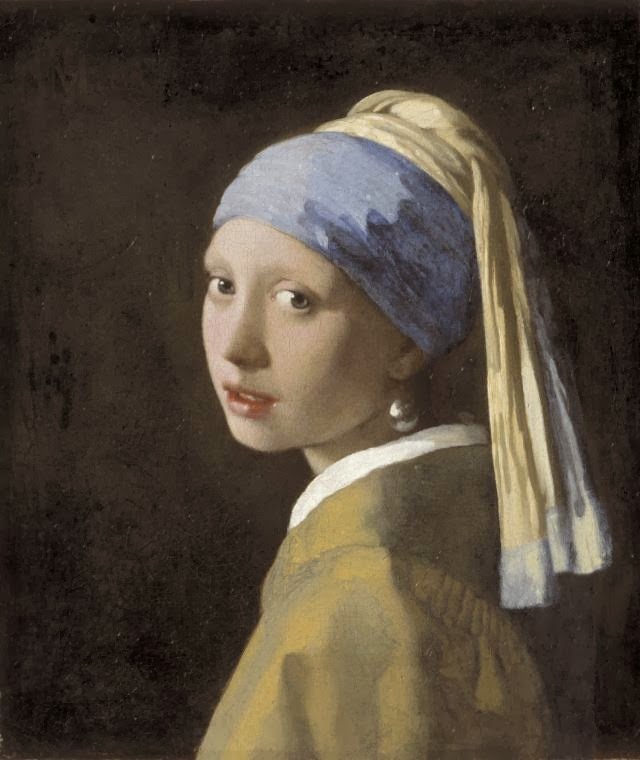 The Frick is exhibiting Girl with a Pearl Earring and fourteen other excellent paintings from the Royal Picture Gallery Mauritshuis in the Hague! YAAAAY! I saw the poster for the exhibit this morning when I was walking through Chinatown to get to my optometrist (and don’t you love that fresh-new-contact-lens feeling?). When I was in Amsterdam I went to the Rijksmuseum, and wouldn’t you know it, most of the museum was closed for renovations! BOOO! I still got to see a little of it, though. Then I ate half a bag of hallucinogenic mushrooms and went to the van Gogh museum, which I do not recommend. The museum was great, but it was way too crowded, which made my trip uncomfortable. I ended up leaving early and going for a long walk around town. Amsterdam was very beautiful and the people were very beautiful, and friendly, too! Everyone looked like a Barbie or Ken doll, and they were very tall. It was the first time in my life where I was not an unusually tall woman. I learned a few Dutch phrases in order to be polite, but the language was very challenging. I can’t wait to go to this exhibit! I’ll take photos and post them on the blog. Went to the Rijksmuseum and saw the Vermeers about 15 years ago before it went out of service for a refit that took many years and was controversial. 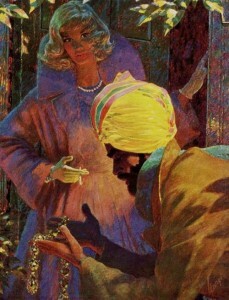 I spent half an hour looking at ‘The Kitchen Maid’ such was its magic. I remember being surprised at how small it was. I also have wonderful memories of ‘The Glass of Wine’ (on loan from a German museum at the time). His capacity to render the transparency of crystal in paint was mindblowing. Amsterdam is a great place for kink, fetish shops and the like. Remember seeing a guy walking down the Kalverstraat in outrageous regalia without anyone turning a hair. I LOVE art ZOMG love love love! Every time I went to Europe–only a handful of times, really–I made a point to visit the major art museums. I spent a whole day at the Louvre, morning till close, aching feet and all, and I only saw a fraction of it. Like the Met, it’s too vast to see in a day, or even a week…and I don’t know about you, but after 4-5 hours, I develop “beauty fatigue.” I keep going because I want to see as much as possible, but I don’t appreciate it the way that I do when I’m fresh. You have to come to New York and see the Met. It is a magical place. I go about once a month, and I still haven’t seen it all yet. Funny you should mention ‘The Kitchen Maid.’ My mother has had a framed print of it on her bedroom wall all my life, and my mother doesn’t know or care about art…but she knows what she likes, and she liked that painting. Painting or drawing or sculpting is like magic to people who cannot do it. Finally: Amsterdam, as you know, is famously tolerant. I went to a few fetish stores there (I was with my ex, John). Typically European, they were big on the latex, but WOW, the selection of merchandise! I like Amsterdam very much. Some people find it boring, but I think it’s wonderful. Paris is the most beautiful thing I’ve ever seen, though…but I haven’t been to Italy yet!